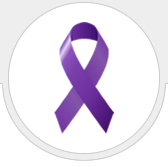 Project Response, Inc. is a non-profit crisis center that provides support and advocacy to victims of domestic violence, sexual assault, and other related issues. 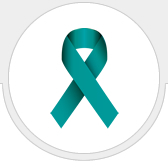 We also provide services to the families, friends, and loved ones of abuse victims. We are directed by a volunteer board of caring local citizens and staffed by a few paid advocates and volunteers. We provide a confidential 24-hour crisis phone line for victims of domestic violence, sexual abuse, and related issues. We provide trauma informed crisis and short term counseling with sensitivity to the specific issues and concerns of the victims. We offer support groups on an on-going basis to help victims of violence, their friends and family. Every contribution counts. You have the power to assist an individual or a family being victimized. Donate your gently-used men’s, women’s, and children’s clothing items! The items you no longer need and, in turn, donate to Neighborhood Closet could change someone’s life. When a donated item is purchased at our store, the revenue generated pays for numerous programs that help Project Response serve individuals who are victims of domestic violence, sexual assault, and other family crises.